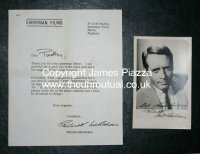 The Unmutual Website has a special treat for readers with its latest update, in the form of a very rare item. James Piazza, a fan of the series from the USA, recently contacted the site regarding an exciting discovery he made at a local store, and it's with delight that The Unmutual Website will house the "exhibit" online for readers. 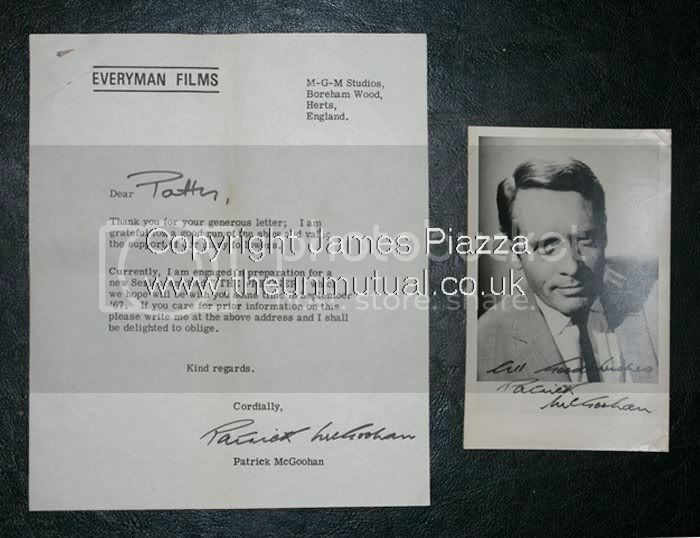 The item is an original letter sent (and signed, along with a promotional photograph) by Patrick McGoohan during the production of "The Prisoner" to a fan of his previous series "Danger man". Click HERE to see the letter/image. With thanks to James Piazza for this news item and copyright permission.